Carlo Ancelotti hopes to see Liverpool in the Champions League this season – because it would raise the competition further, in his opinion. A fourth-place finish in the Premier League last term set up a qualifying play-off for the Reds next month, with their opponent to be revealed this Friday, and a win over the two legs would put Jürgen Klopp’s team in the tournament proper. Bayern Munich coach Ancelotti is no stranger to European meetings with the club, of course, having been in the opposition dugout when AC Milan were stunned in the 2005 Champions League final. 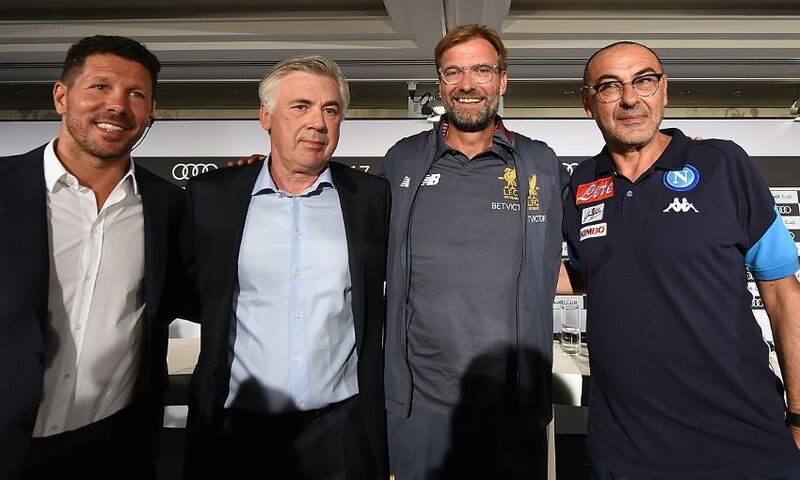 And as he previewed Tuesday’s meeting with Liverpool in the Audi Cup at a press conference today, the Italian explained why he wants to see them in the continent’s elite competition too. “Liverpool had a fantastic season last season. They played really well and reached qualification for the Champions League,” said Ancelotti. “The Champions League this year will be more competitive with Liverpool because they are a really important English team in the competition.